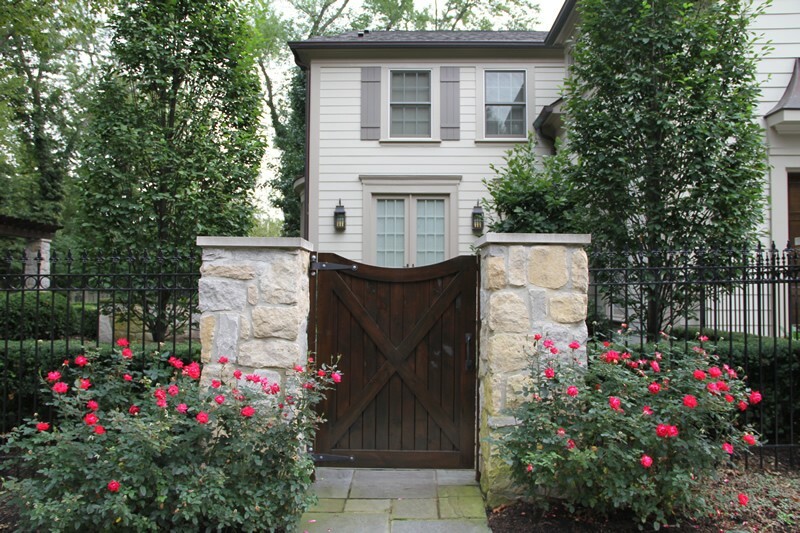 Architectural elements such as this gate anchored with two European Hornbeam offer privacy and elegance. 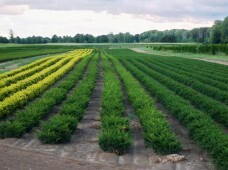 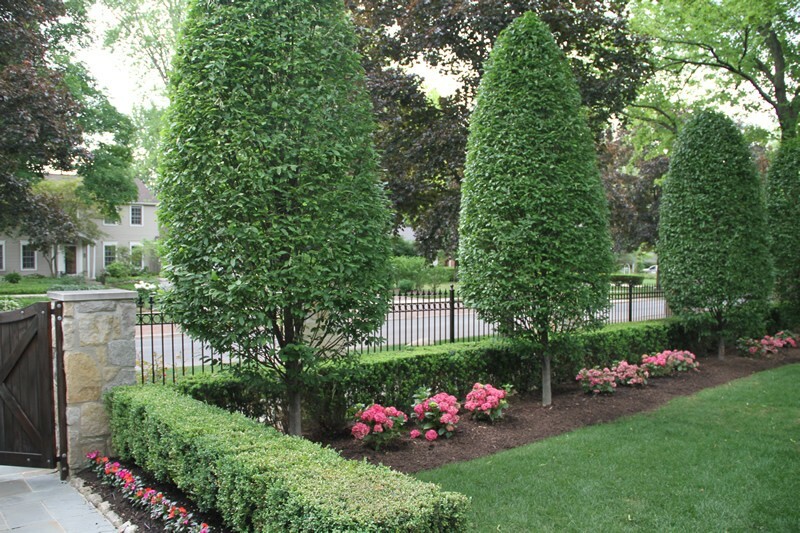 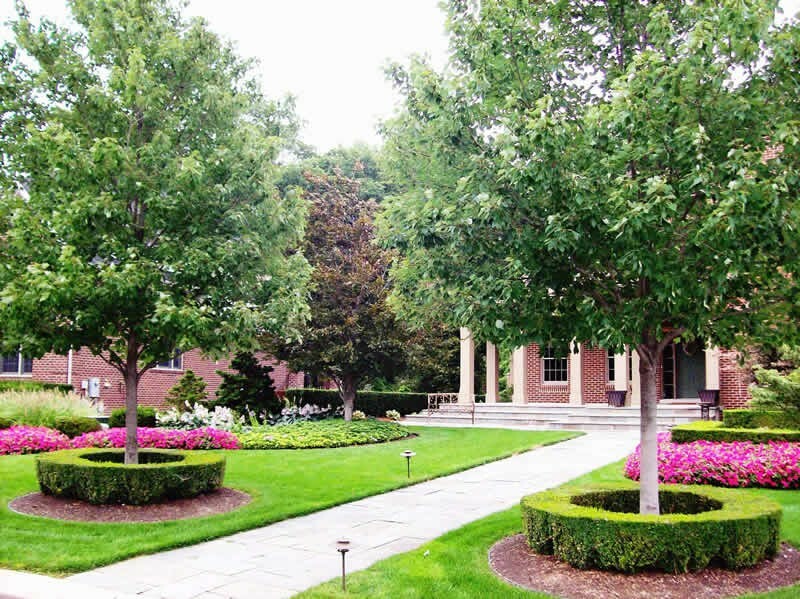 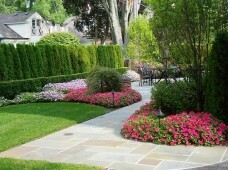 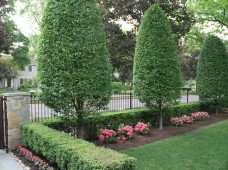 Trimming and maintenance keep a landscape elegant and proportional. 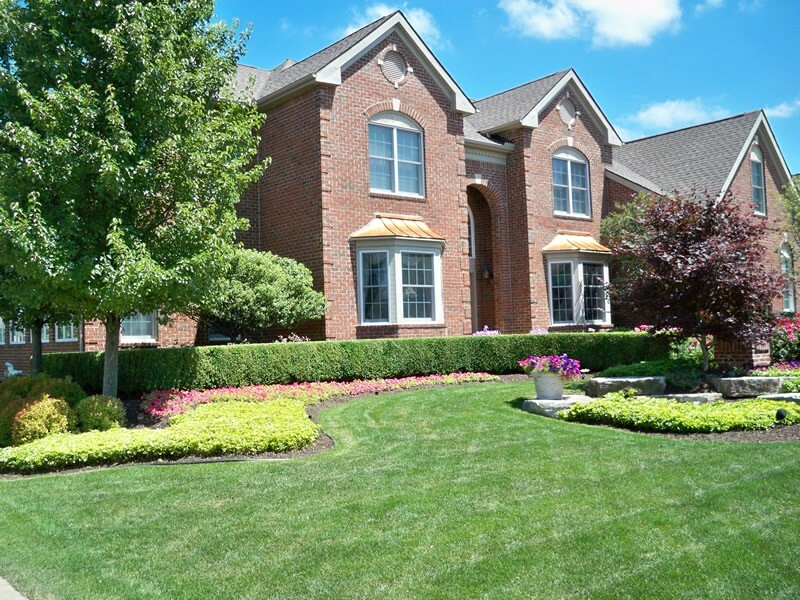 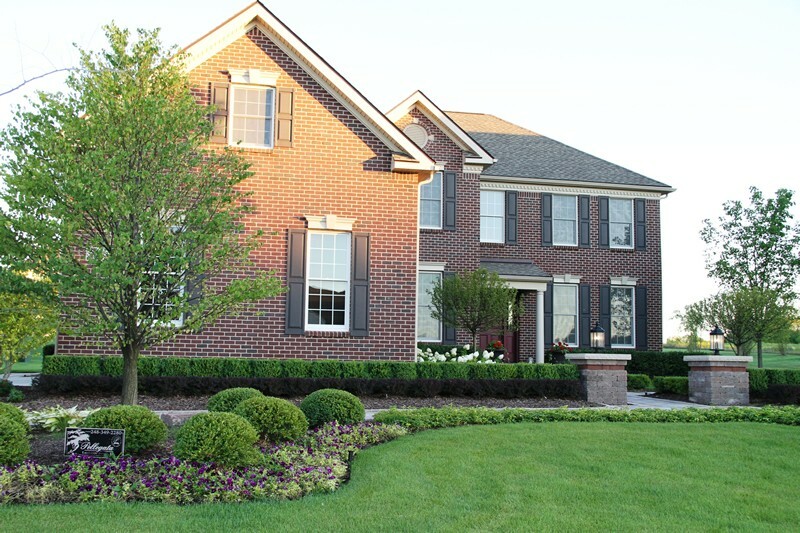 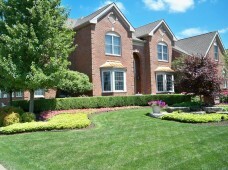 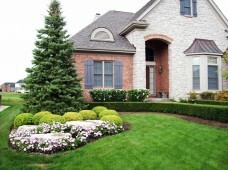 Well manicured home in a Northville golf community. 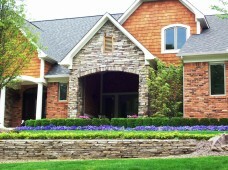 Limestone pillar caps and lighting add to the elegance of the finished brick project. 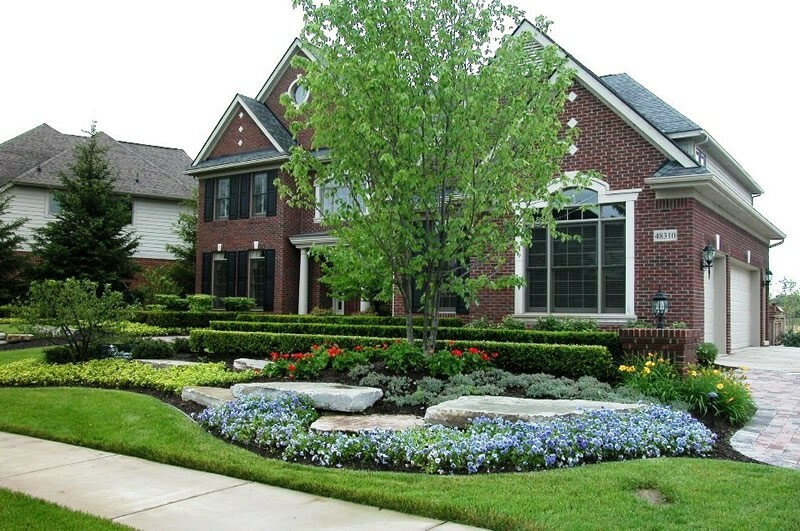 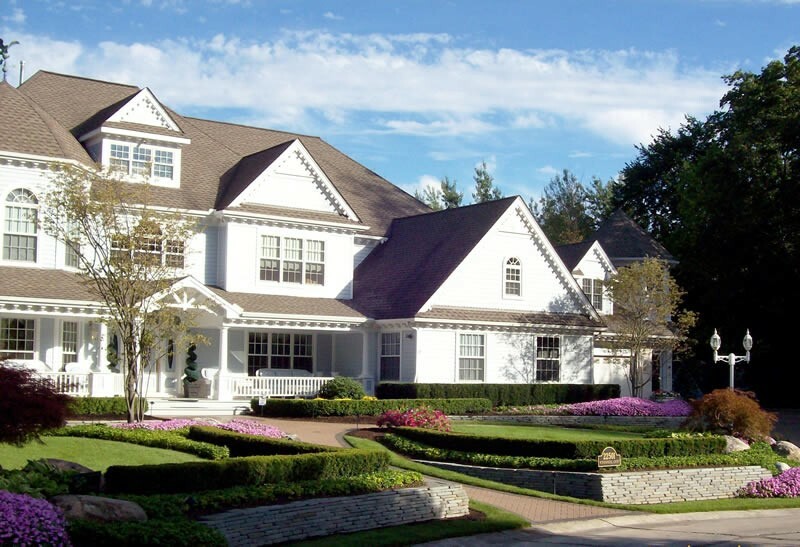 After completion of the landscape, including irrigation and sod, this Novi residence is transformed into an elegant home. 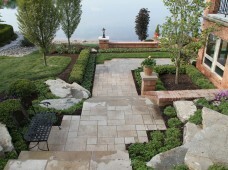 Landscaping compliments the new raised masonry patio by blending mature trees with new construction. 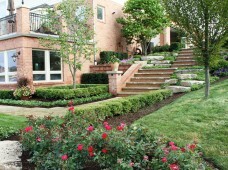 Extensive remodel of lake frontage home in Brighton. 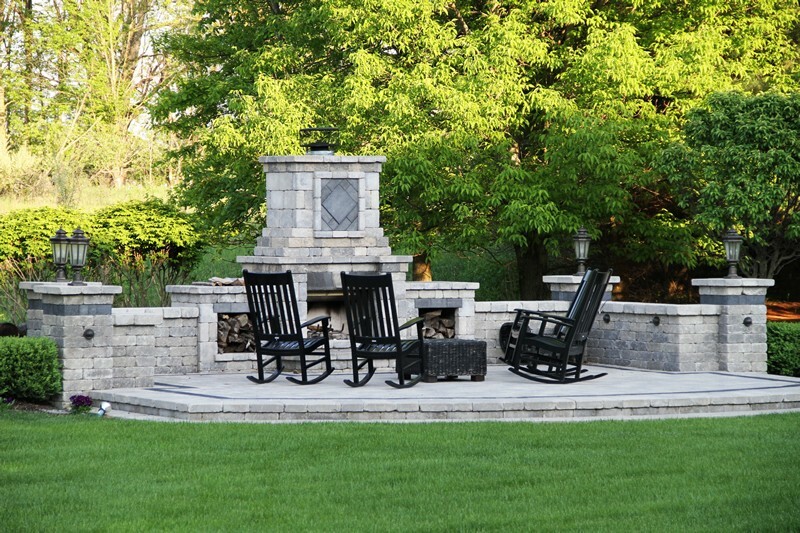 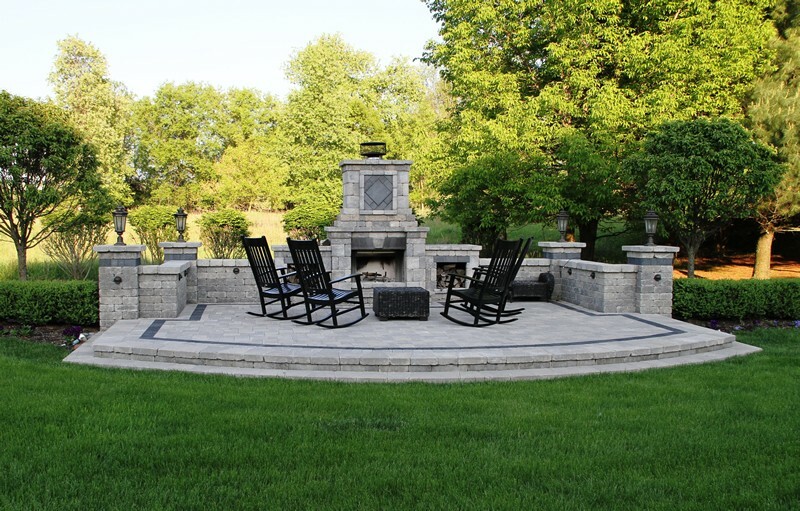 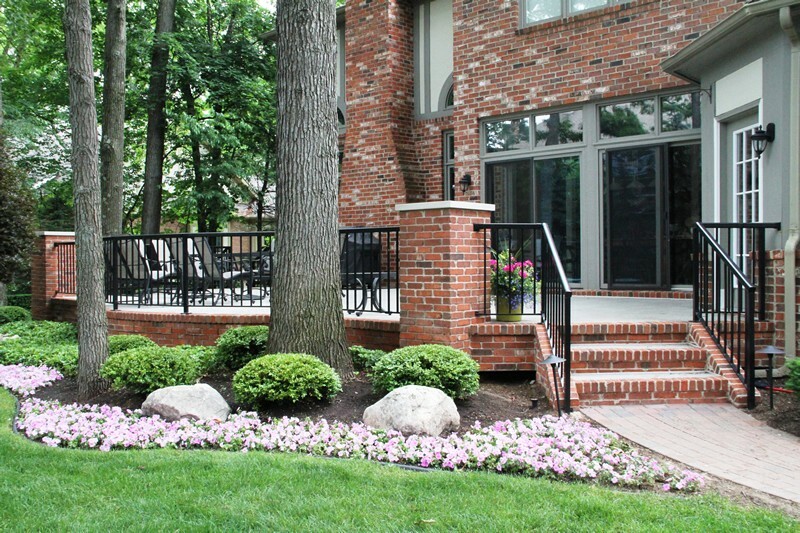 Features include masonry brick walls that match house, masonry steps with house brick risers, LED lighting, European styled paver, natural stone accents, boxwood hedges, European hornbeam, flowering dogwood and lilac trees, groundcovers and more. 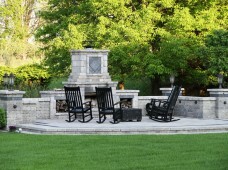 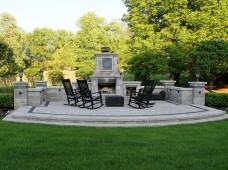 Separate brick paver structure with custom fabricated wood fireplace and low voltage lighting. 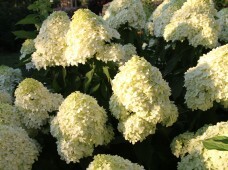 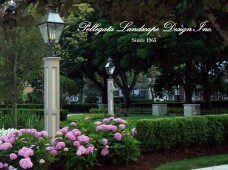 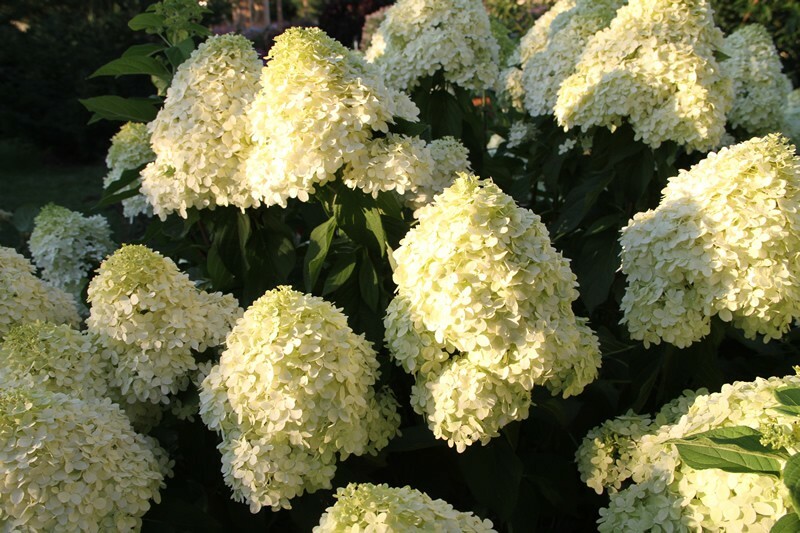 Architectural feature such as a lamp post surrounded by the soft color and texture of hydrangea. 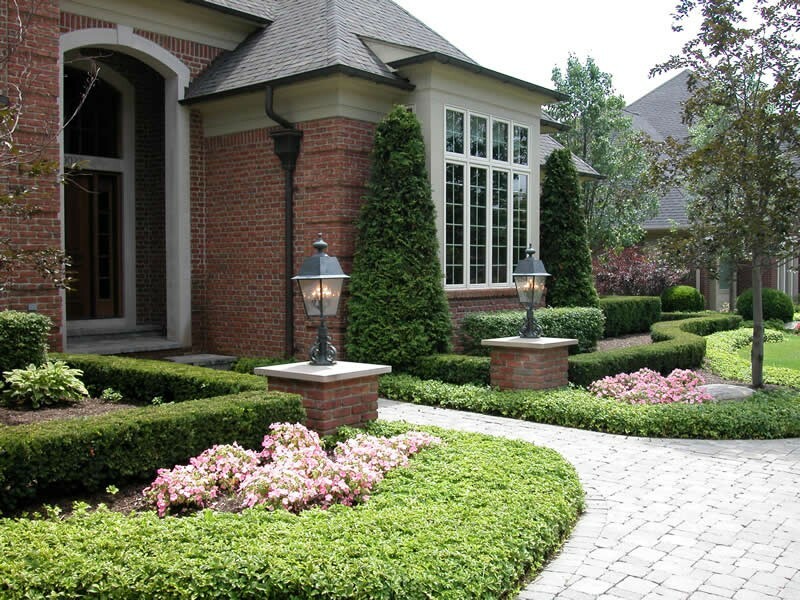 This house brick masonry pillar is the anchor point which the yew hedge and pachysandra flow from. 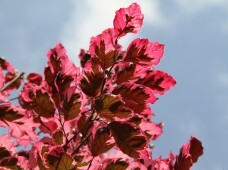 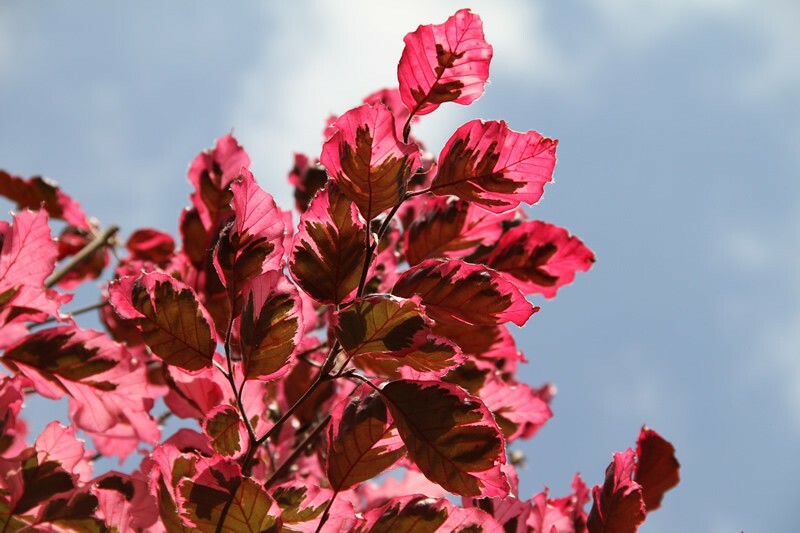 The clump form serviceberry tree provides a vertical element to the landscape as well as spring and fall color. 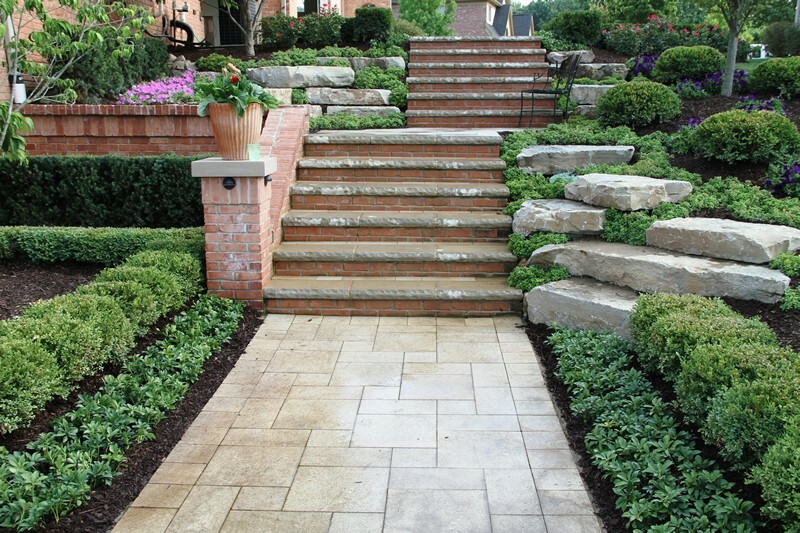 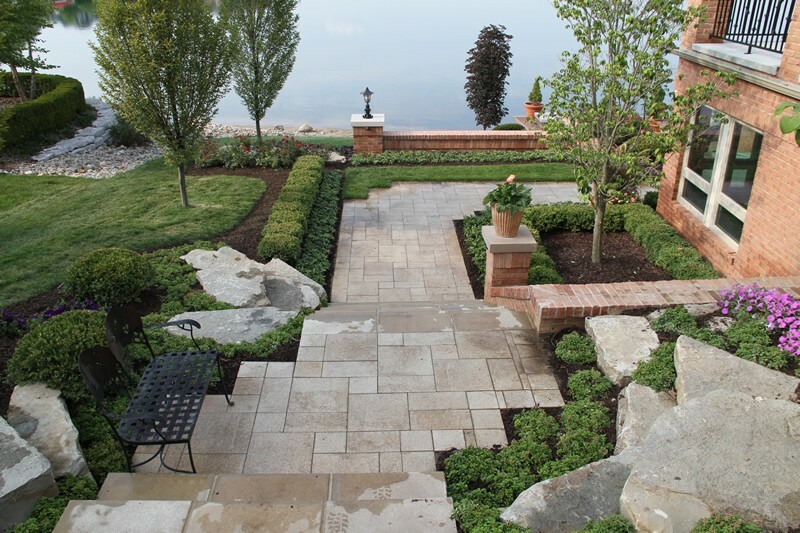 Dyed and stamped concrete is accented by a brilliant sedum groundcover, petunia, natural stone and a lace leaf Japanese maple. This new construction home in Birmingham offers designers and clients the ability to share and hone ideas and concepts together. 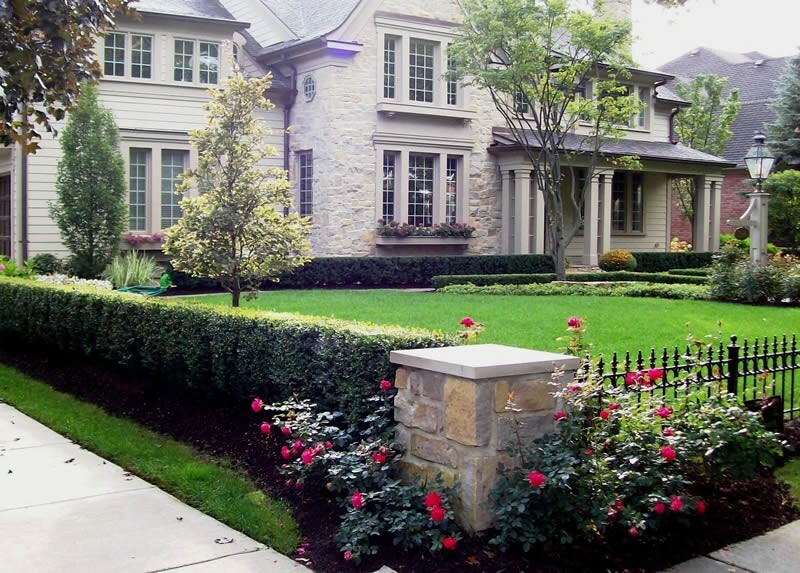 Completed project incorporates limestone capped pillars in stone matching the house, decorative iron fencing and traditional boxwood hedging. 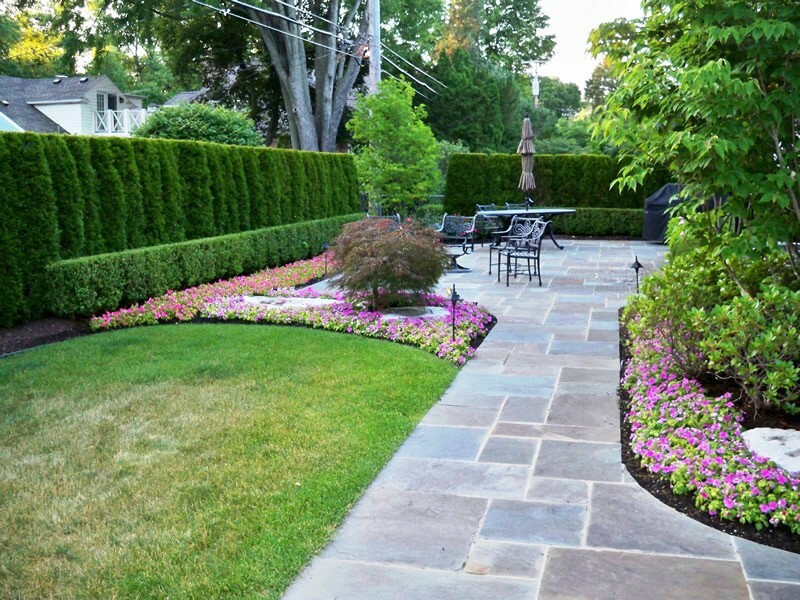 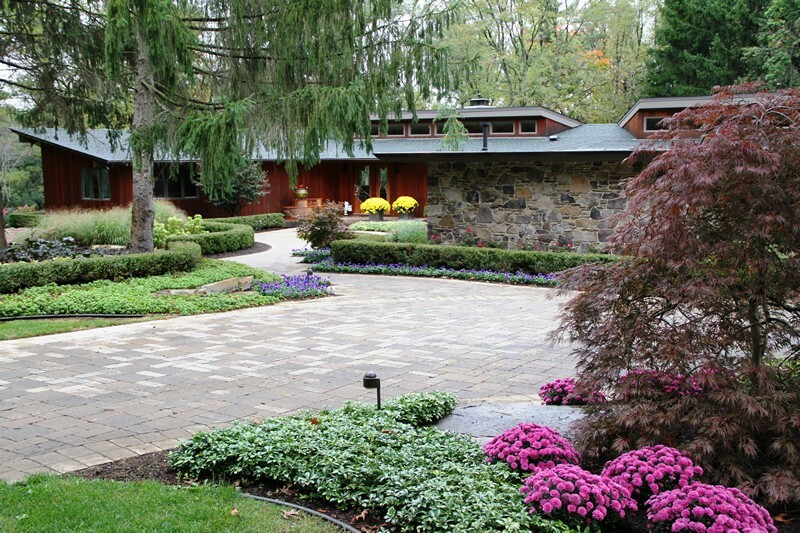 The completed Cape Cod uses the landscape to transition the hard lines of walls and pavers into an elegant project. 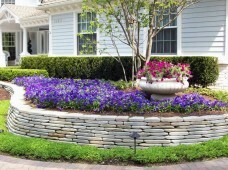 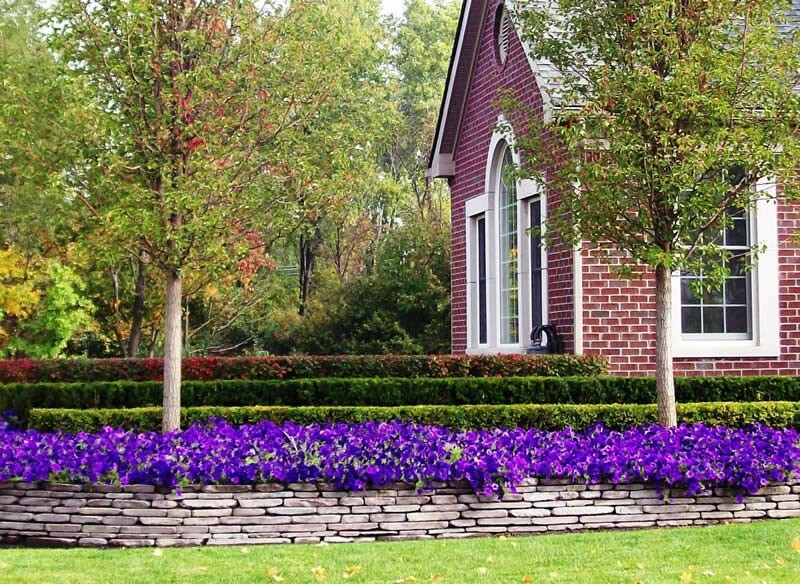 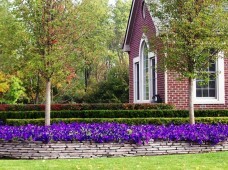 Close-up of tumbled blue slate wall with groundcover in front and masonry planter. 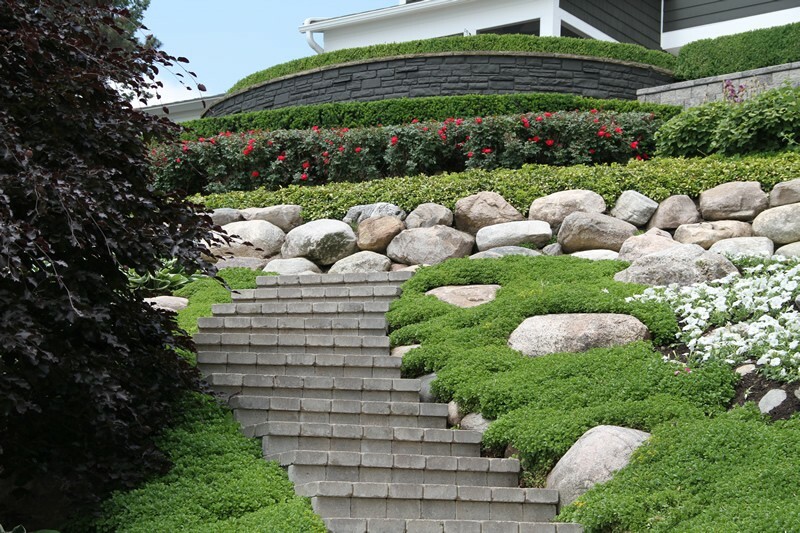 With the function aspect being satisfied, we are able to turn our attention to visually complimenting the home, hillside, walls and brick stairs. 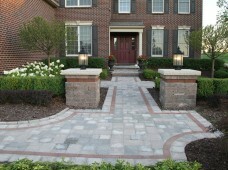 All aspects must meet customer expectations. 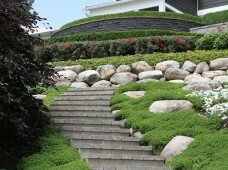 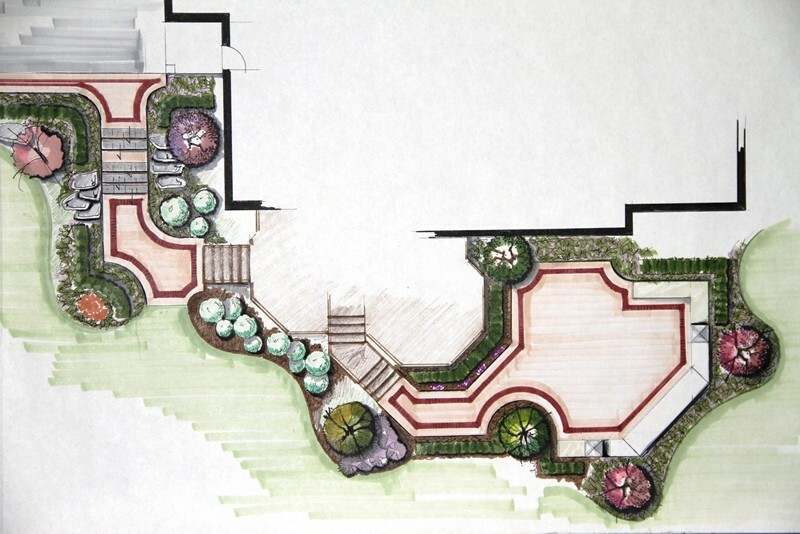 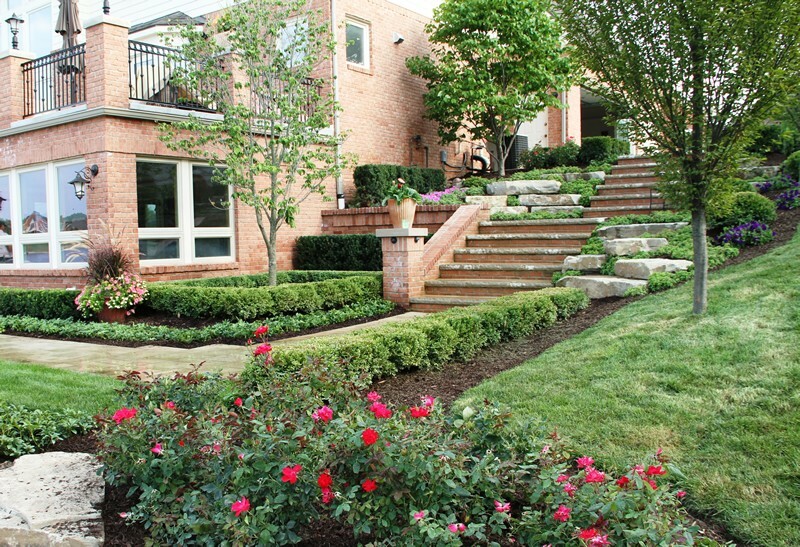 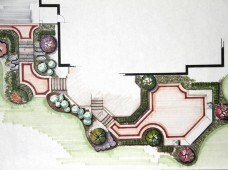 Close-up of finished hillside featuring a modular brick paver stair system, Michigan boulder walls, groundcovers for erosion control, roses and hedges. 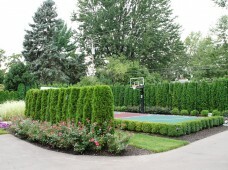 Completed sports court with sod and irrigation, boxwood hedges and annual color. 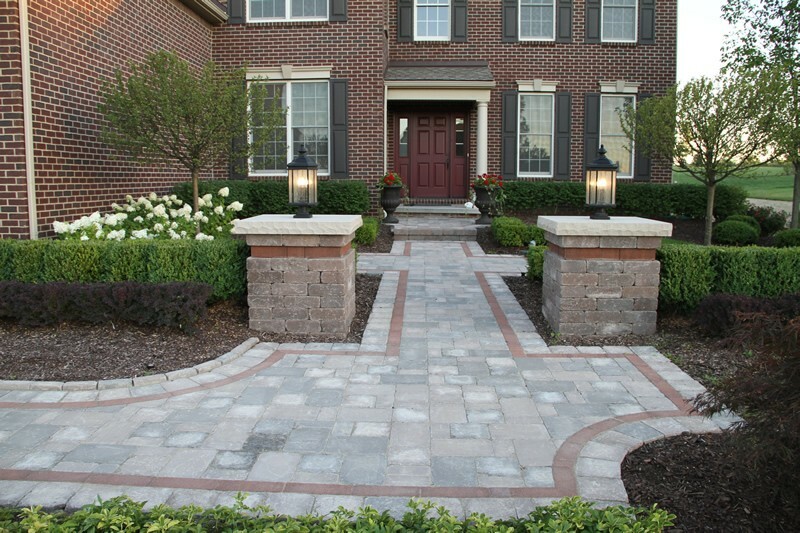 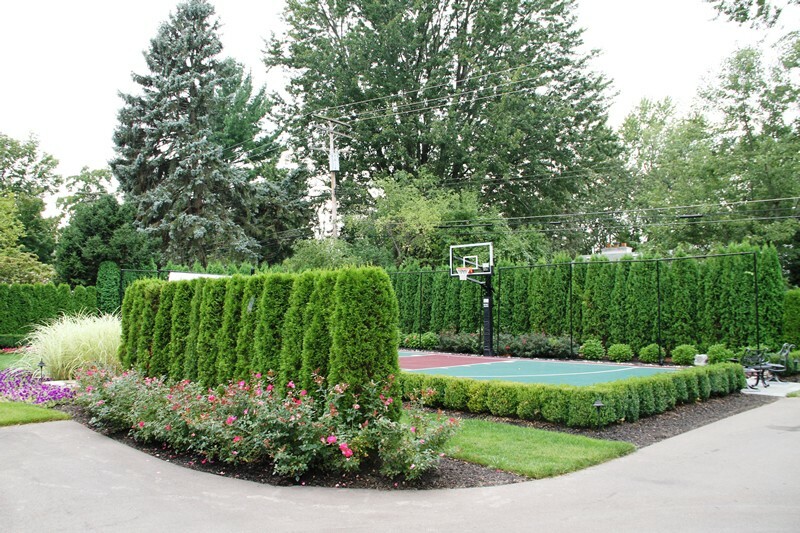 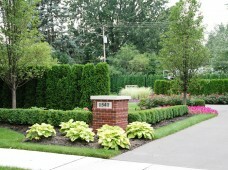 Sports court entrance with house brick masonry pillar, Cleveland select pear trees, hosta and arborvitae. 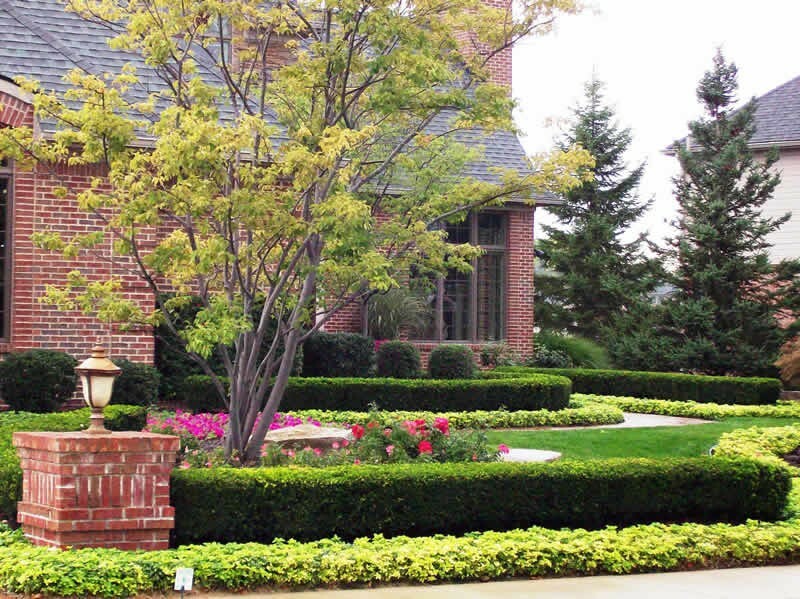 Clean manicured lines of a landscape add to the elegance of this home. Dry laid tumbled stone walls accent a homes color and features. 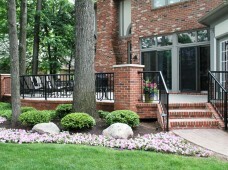 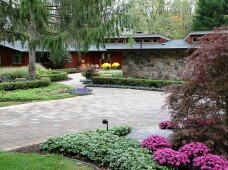 Contemporary yet classic Ann Arbor home utilizing existing mature trees combined with modern brick paving and landscape . 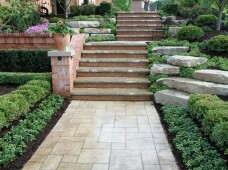 Downtown Birmingham featuring privacy hedging and masonry bluestone patio. 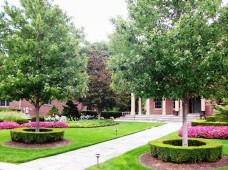 Northville residence featuring pillars in matching house brick and double hedging. 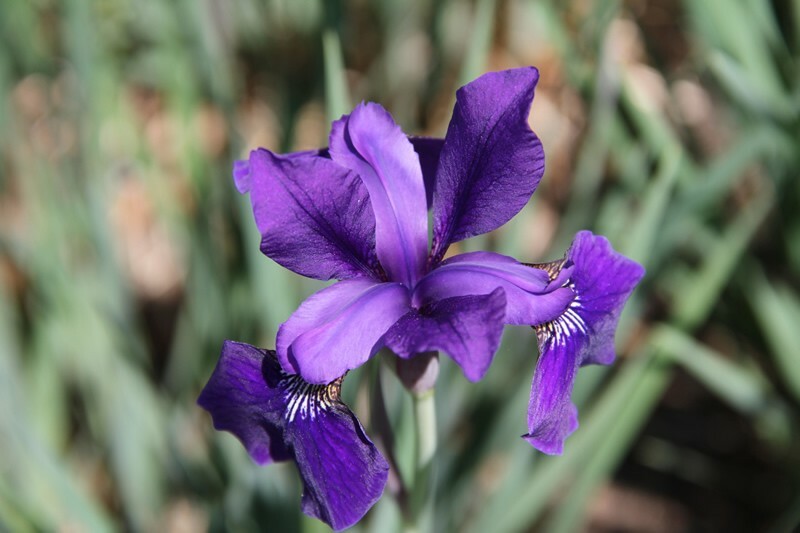 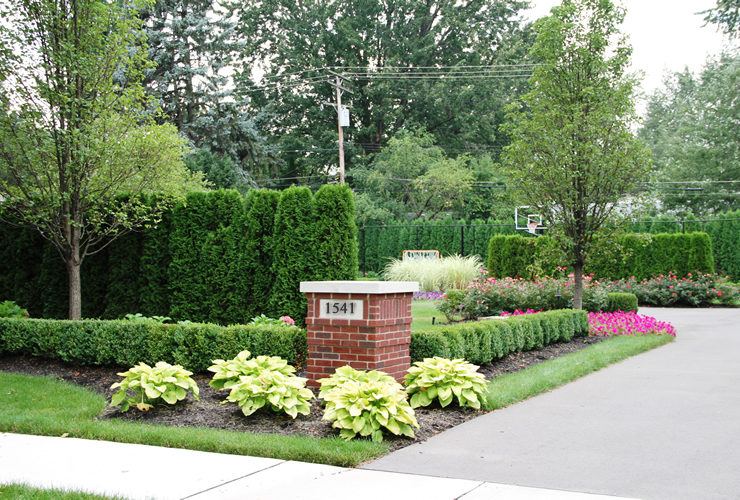 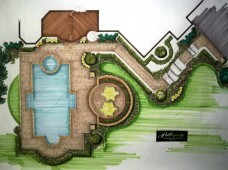 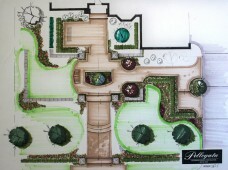 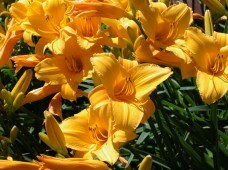 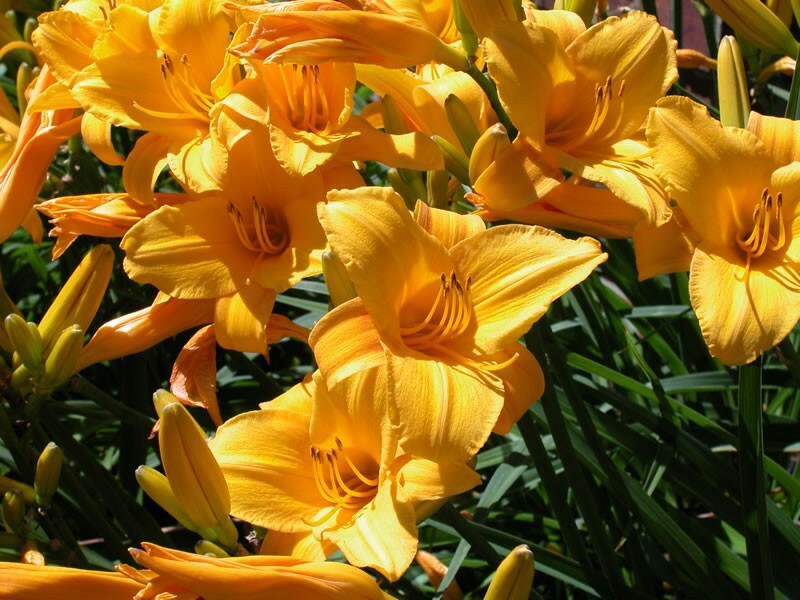 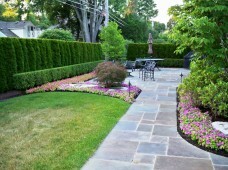 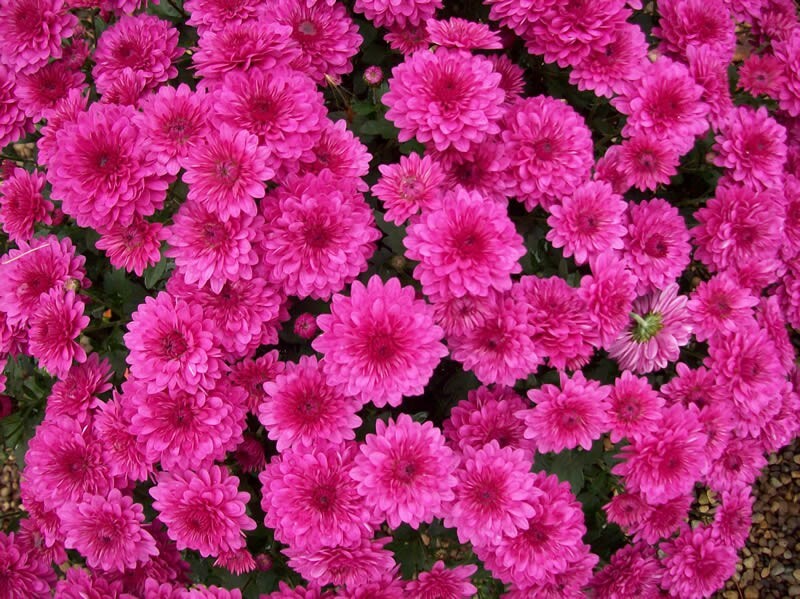 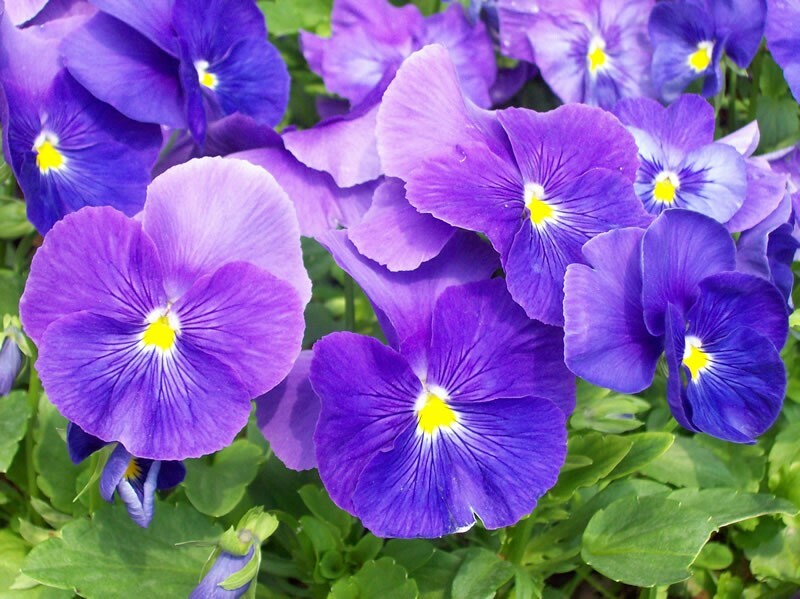 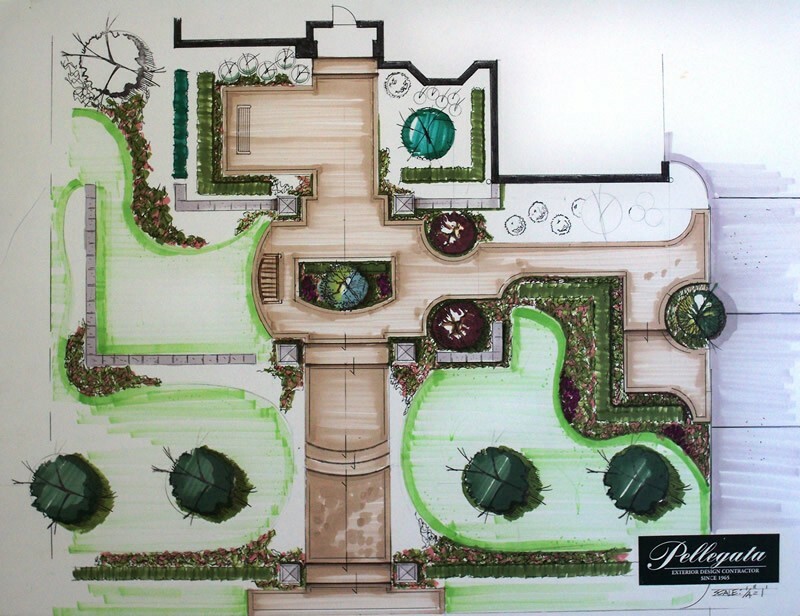 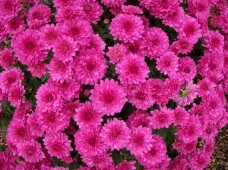 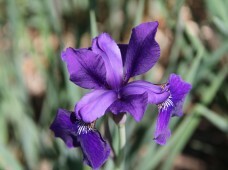 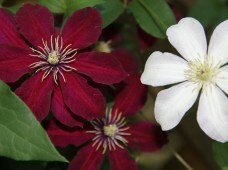 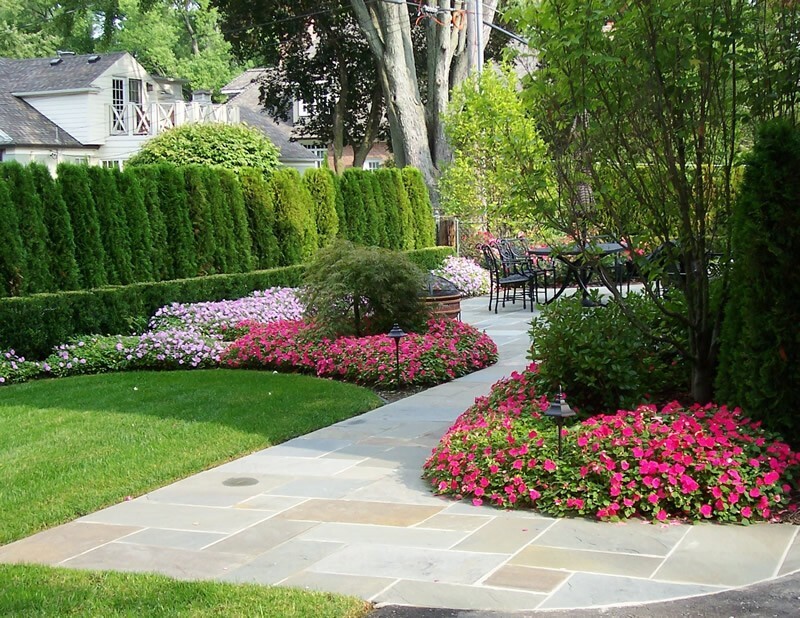 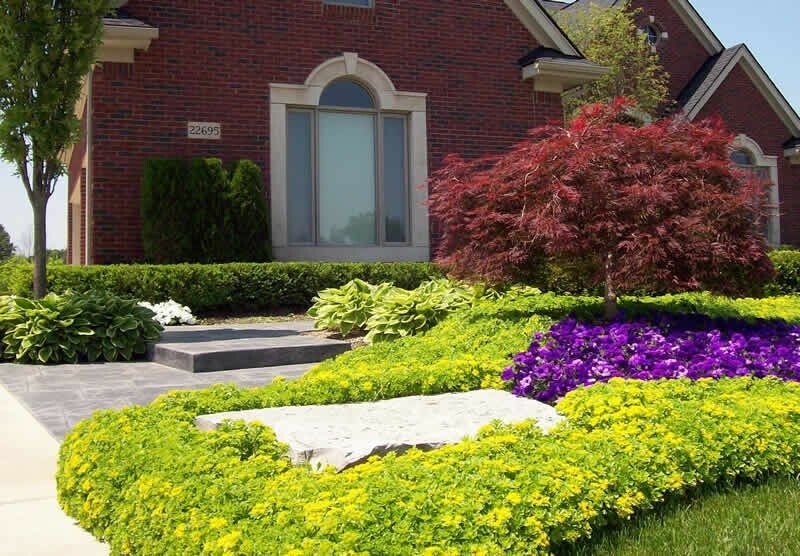 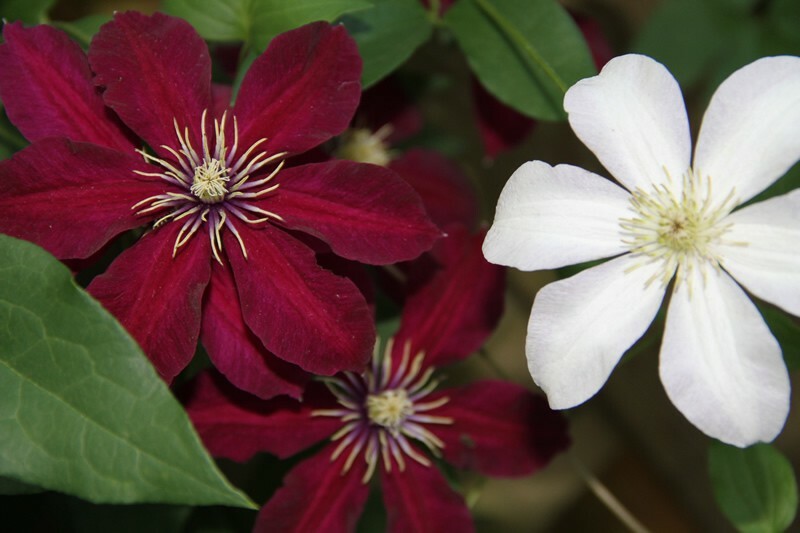 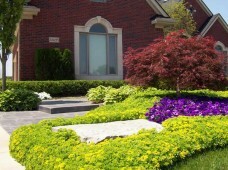 Pellegata designs and installs landscapes that will add curb appeal and increase the value of your property. 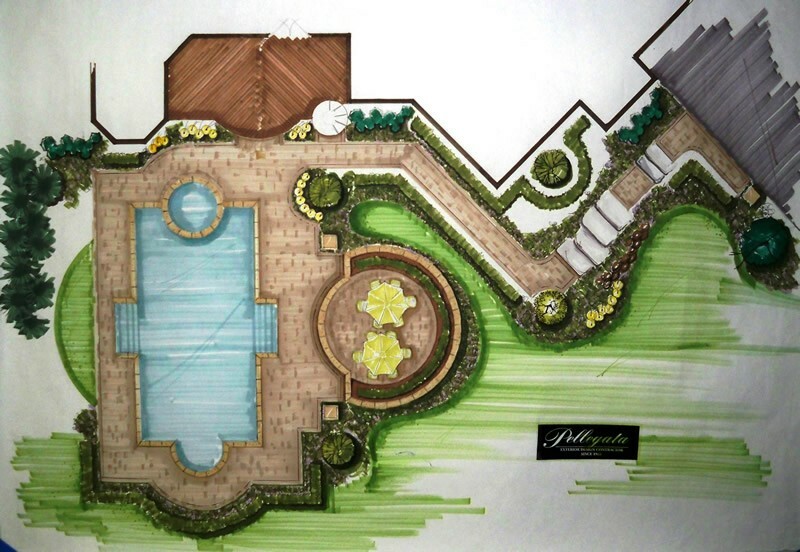 Copyright 2017 Pellegata Landscape Design, Inc.